The Battle of the Somme proved to be a fitting theme of focus as a party of St. Louis students journeyed to Northern France to visit their pen-pals in the town of Doullens. 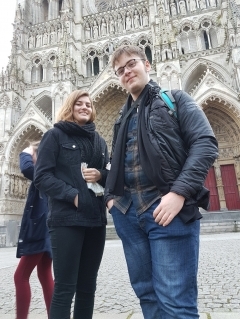 Organised by Jessica Koquert (Head of French) and accompanied by Steven McVeigh, 18 students recently visited the region of Picardie, primarily with the aim of further enhancing their use of French, but also to experience the French way of life. 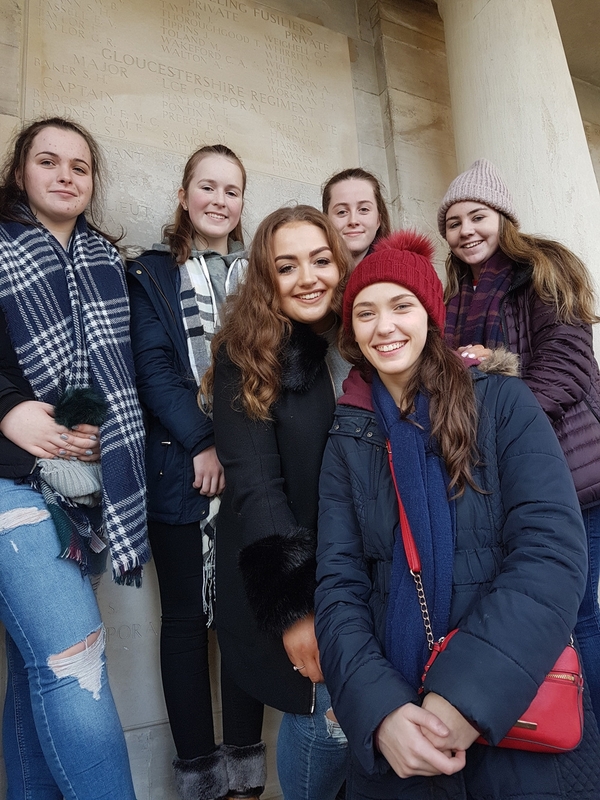 As their French hosts are located amidst the battlefields from the Somme offensive (1916), students worked in collaboration to view this historic event and the role played by thousands of men from Ireland and in particular, Ulster, during this conflict. The St. Louis students experienced French school life as they followed their pen-pals through a typical day in Lycée de l'Authie. 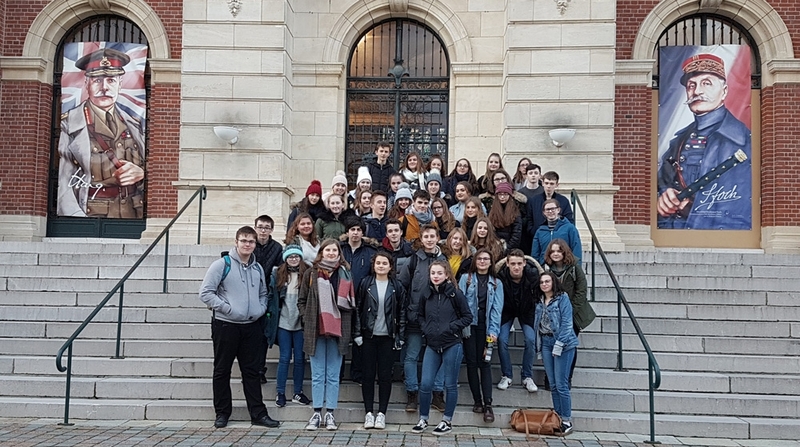 The St. Louis students also received the 'VIP' treatment as they were welcomed by the Mayor of Doullens in the Hotel de Ville, the scene of a historic meeting which played a significant role in determining the outcome of the war. Along with their French hosts the St. Louis party toured the Somme museum in Albert, visited Lochnagar Crater, memorials at Thiepval, Beaumont-Hammel and of course, the Ulster Tower. 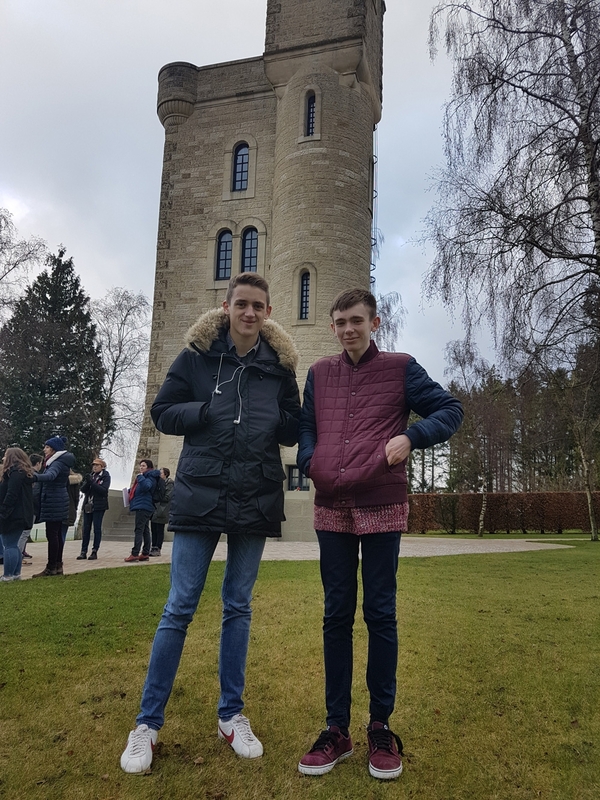 Both schools paid their respects to those who had died in the conflict reciting poetry from the era whilst laying wreaths at some of the many memorials which poignantly have become a must see feature of Picardie. Significantly a member of the St. Louis was able to locate a family relative who had died during this truly global conflict. 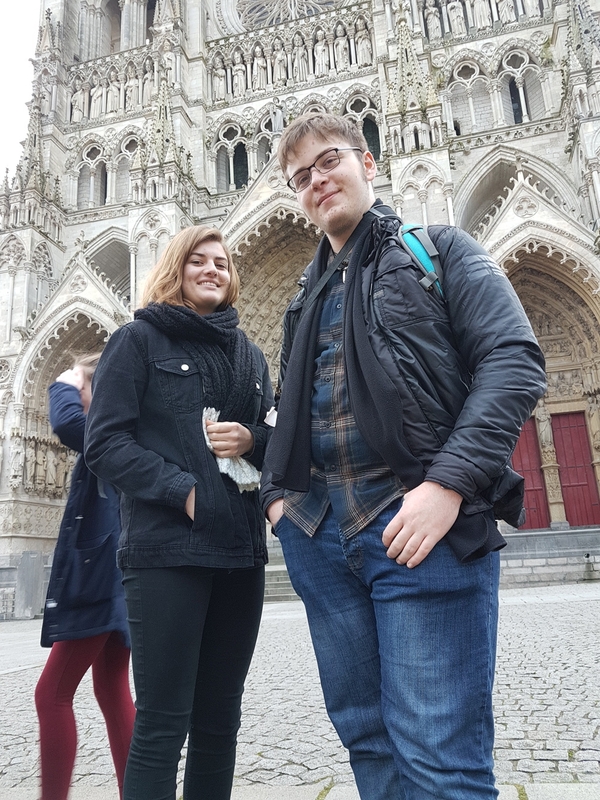 Also on the packed itinerary were visits to the cities of Amiens and Arras, where the group spent time visiting the Wellington tunnel network which played a vital role during the Battle of Arras. However, students also visit the homes of their French pen-pals, where they were treated to a typical family meal. This annual trip by the French Department proved to yet another a huge success. 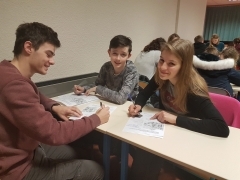 The reciprocal visit by the students from Lycée de l'Authie will occur in early March, with a similar packed itinerary organised during their week long stay. 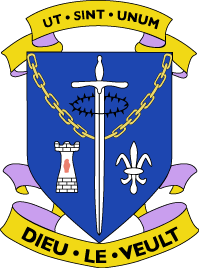 About St. Louis St. Louis Grammar School, Kilkeel, is a co-educational Specialist School in Technology and Computing that caters for pupils aged 11-18.